A restatement of right now – the culture of our lives. but expressing them daily through words and deeds. Owning one’s Seidr is to own being a creature of Spirit. It means to tune one’s senses to the sensible terrain of one’s bioregion – to rub dirt into open wounds, to drink from water that runs over stone, to breathe the growth and decay of every season, and to offer one’s self to Sun and Moon, Lightning and Thunder, Mountain and Ocean. Today, Seidr has become a highly visible topic, and though those who claim its practice seem to be growing in number – to include the New Age and Wiccan aspects – mostly, these lack any semblance of rootedness to the well-attested literature of Old Europe. Though many claim there is scant remnant of Seidr in The Lore, in truth there is little real study, let alone indepth contemplation on the more subtle aspects of Spirit. Beyond mere ‘magic’ or the acquisition of personal desire, Seidr is the recognition of Being and so Beginning. Seidr is a style of speech that opens one’s senses to the sensuous, it is the acknowledgement of Nature as the source supreme, That which is all things and no-thing simultaneously – an unimaginably vast birthing chasm, the abstraction of all abstracts and the supreme principle of the multiverse. 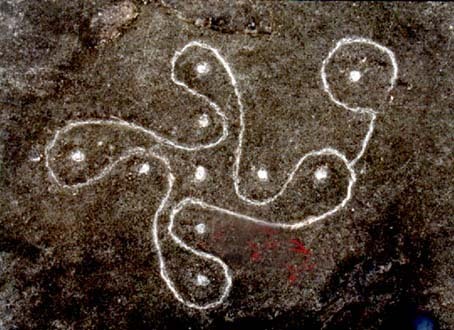 What Aristotle referred to the “moved mover”, ancient Heathens knew as Ginnunga-gap, the Sacred Spiraling Space, the central source of life, the beginning of manifestation and emanation. Ginnunga-gap is the pole or mystic center, the unvarying mean that is the cause-eruption of all things. 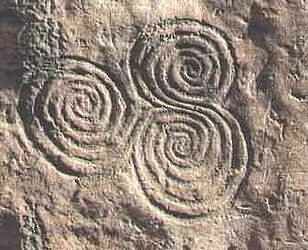 And we Know this in the Spiral, the primal symbol of evolution, which spins into the sunwheel – Sunna’s Wheel – the cyclic motion of life and the succession of generations, of seasons, of The Tree in motion. This is Seidr’s heritage. Ginnunga-gap contains the twin streams of Nifl and Muspel – Mist and Fire – which are the origins of Hvergelmir and Urd’s Well. Where they merge, within Ginnunga-gap’s center, is Mimir’s Well – Grotti’s Staff – fount of creative wisdom. 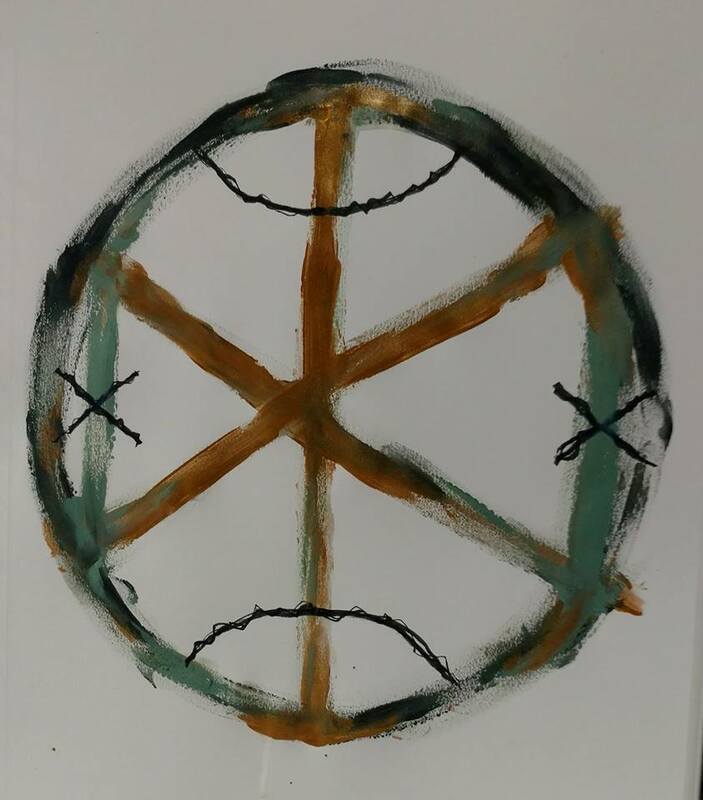 These Three Wells and Three Roots compass origin, outcome, and creative wisdom. to stand erect and face the future with a smile. and hear the martial music, the rhythmic beating of your fearless heart. to make a palace for the soul. This is real religion. This is real worship. These are Old Ways Born Anew.